SUSTAINABILITY. The Carbon Offsetting and Reduction Scheme for International Aviation (CORSIA) aims to contribute to the industry’s commitment to carbon neutral growth from 2020 (“CNG2020”). With commitment from several major players in the industry, a framework of impact mitigation for aviation-sourced greenhouse gas emission levels is taking shape. Slowly. With commitment from several major players in the industry, a framework of impact mitigation for aviation-sourced greenhouse gas emission levels is taking shape. Slowly. This alarming scenario has been nagging strategic planners for some years now, and as a result IATA and ICAO have devised a global framework for reducing emissions. It calls it the Carbon Offsetting and Reduction Scheme for International Aviation (CORSIA). Hence, following the ICAO Assembly in 2016, CORSIA was adopted to help minimise an increase in total civil aviation emissions above 2020 levels – or more accurately, the effects of those emissions. Although not a particularly stringent target, it is, as Michael Gill, Executive Director of the Air Transport Action Group (ATAG) says, the best implementation achievable right now. So for the next eight years, CORSIA will be a voluntary code. 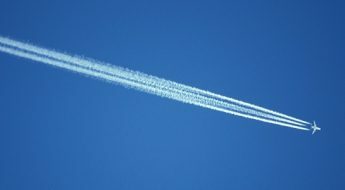 While some routes will be exempt, all airlines operating international flights will have to monitor and report fuel consumption and emissions from 1 January 2019. And compliance implementation starts from the beginning of 2021, with full mandatory compliance implemented in 2027. Under CORSIA, operators who miss targets due to excess fuel usage will be able to use carbon offsets purchased from other sectors – possibly forestry, sustainable power generators and the like – to maintain a neutral carbon balance. But operators need to understand the implications, says ICAO President Dr. Olumuyiwa Benard Aliu. 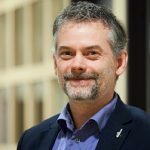 “Through the recent CORSIA seminars … I believe [countries] will have a better view of the functioning, the implications and the benefits of participating in CORSIA,” he adds. Michael Schneider, Assistant Director at the IATA Carbon Offset Business Development Program, underlines the learning process associated with the CORSIA framework. “It’s how [the operators] can build a future portfolio to be prepared, so when they are asked to meet the requirements that will come in 2021, they can do so,” he explains. CORSIA’s proponents note that one of the key issues addressed by CORSIA is avoiding what they describe as “a patchwork of environmental legislation” that could slow overall industry progress in cutting emissions. CORSIA staff admit there is still a lot of complex work still to be done on implementation, working with all stakeholders to implement capacity building and training. But according to Gill, things are not moving as quickly as they could. “We are concerned that this process of capacity building is moving too slowly. Capacity building on both sides is absolutely critical. Too many governments and operators are still unaware of their obligations, or think they are exempt because their state has not yet volunteered [for CORSIA],” he said. ICAO’s Aliu says stringent CO2 estimating and reporting guidelines will be needed as part of the CORSIA Monitoring, Reporting and Verification (MRV) procedures. This would need coordinated investment and development; to ensure what he called “reliable credits” were used by operators. This message of full and wide preparation was underlined by IAG CEO Willie Walsh, who warned that laggards could well face mandatory operational restrictions if they failed to comply after the voluntary timeframe. Walsh said that unless smart airlines signed up to CORSIA and got a handle on how the carbon trading system works now, they could be subject to growth restrictions by regulators. “The bottom line is that everybody is going to have to participate at some stage,” he says. Further muddying the waters is the place of the EU Emission Trading System (ETS). Although the CORSIA plan is broader in scope, the EU has a better existing track record of implementing emissions schemes – such as in industrial and vehicle sectors. “But CORSIA is the first global scheme covering an entire industry sector – and that is not a thing we should play down,” says Walsh. And tellingly, it is likely that CORSIA carbon offsets, tallied through a global clearing house and taking full advantage of economies of scale, would be significantly lower than the alternative of paying into a potentially large number of country-specific carbon schemes. Whatever the outcome, it is inconceivable that the aviation industry can survive the marketing hit that a 22% of total global emissions label would bring the sector. And the clock is ticking. ADB SAFEGATE is a leading provider of intelligent solutions that deliver superior airport performance and operations, and jointly identify and solve bottlenecks. Our consultative approach enables airports to improve efficiency, enhance safety and environmental sustainability, as well as reduce operational costs. Our portfolio includes solutions and services that harmonize airport performance, tackling every aspect of traffic handling and guidance, from approach, runway and taxiway lighting, to tower-based traffic control systems and intelligent gate and docking automation. ADB SAFEGATE has 1,000+ employees in more than 20 countries and serves some 2,500+ airports in more than 175 countries. 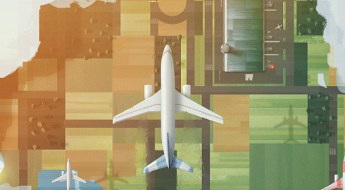 What you need to know about the Carbon Offsetting and Reduction Scheme for International Aviation?